Calcium appears as basophilic granules on H&E stain. Calcium is deposited in Bowman layer and superficial stroma in band keratopathy. 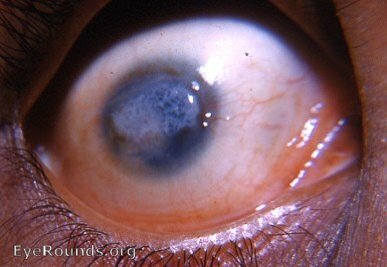 This is a chronically inflamed eye with a cataracta complicata and a chronic, smouldering uveitis. 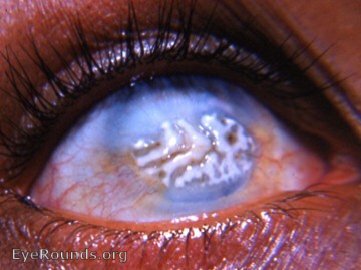 Band keratopathy occurs commonly in such eyes. This photo shows a more advanced stage of bandshaped keratopathy with incipient calcium deposits. Bandshaped keratopathy most frequently occurs in eyes with longstanding intraocular inflammation. The patient is from the Himalayan hill country and demonstrates an epicanthal fold characteristic of India's Mongoloid population. 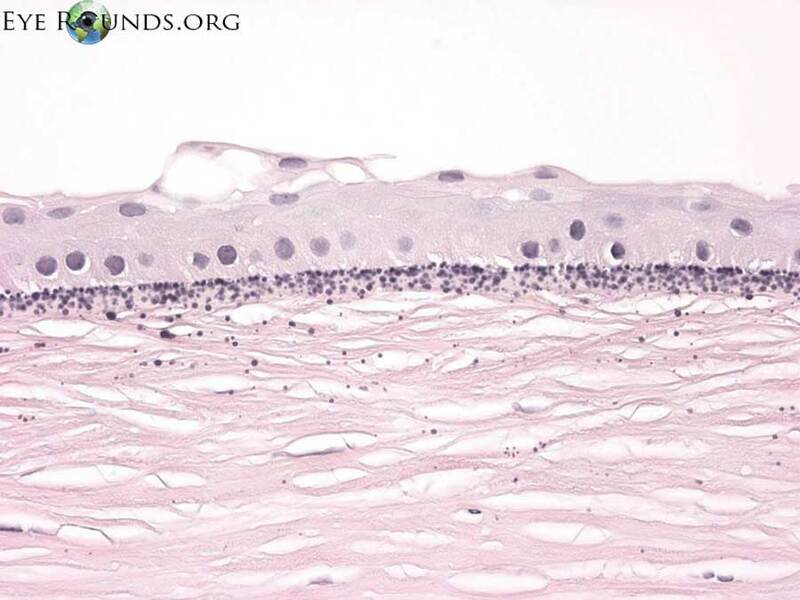 In chronically inflamed eyes, calcium deposition is common beneath the corneal epithelium. 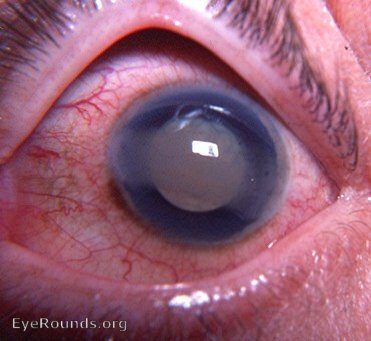 The photo shows a classic example of bandshaped keratopathy in an eye whose vision potential has been completely destroyed by intraocular inflammation and keratitis with leukomatous scarring.